In a large pot on medium heat, drizzle olive oil. When hot add bell pepper, mushrooms and garlic. Cut the leafy green part of the green onions off and save for later, dice up the white part of the green onion and add to mixture. When the mixture is softened, stir in Cannellini beans and corn. Add vegetable broth, green chilis (do not drain), cumin, dried oregano, dried cilantro and juice from half a lime. *If using shredded chicken, also add to mixture* Stir together and let simmer for 20-30 minutes. Reduce heat to low and stir in sour cream. In bowl, small handful of cheese and stir together. Top with ground pepper and Wild Garlic Falksalt to taste. Finish off with sliced avocado, diced green onion (leafy part that was saved previously), and fresh cilantro. Slice the avocados in half, and take out the pit. Scoop out about two tablespoons of flesh from the center of the avocado, just enough so the egg will fit snugly in the center. Place the avocados in a small baking dish. Do your best to make sure they fit tightly. 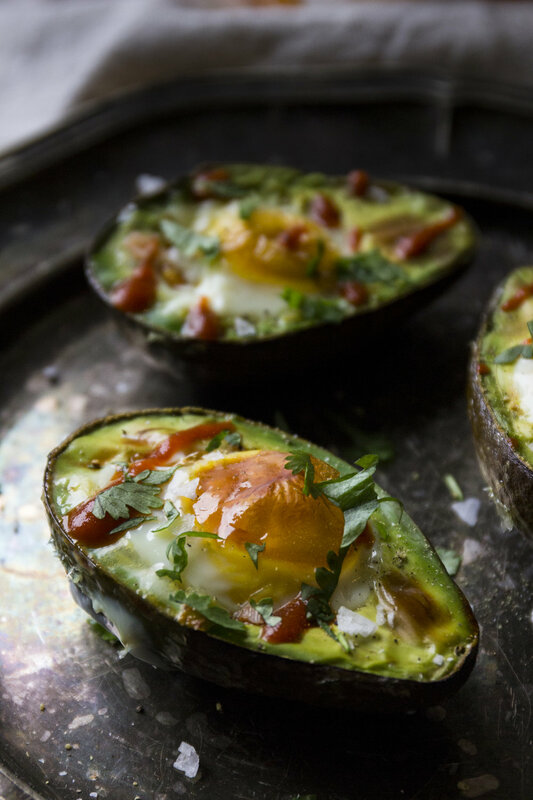 Crack an egg into each avocado half. Try your best to crack the yolk in first, then let the egg whites spill in to fill up the rest of the shell. Place in the oven and bake for 15 to 20 minutes. Cooking time will depend on the size of your eggs and avocados. Just make sure the egg whites have enough time to set. Pull leaves from the stems of cilantro and chop. Remove from oven, then season with pepper, and garnish with sriracha, cilantro, and the crumble Natural Falksalt Flakes on top to finish! Eat & Enjoy!